Welcome to the little petpetpage I created to help show the steps needed for getting the Red Moltite. 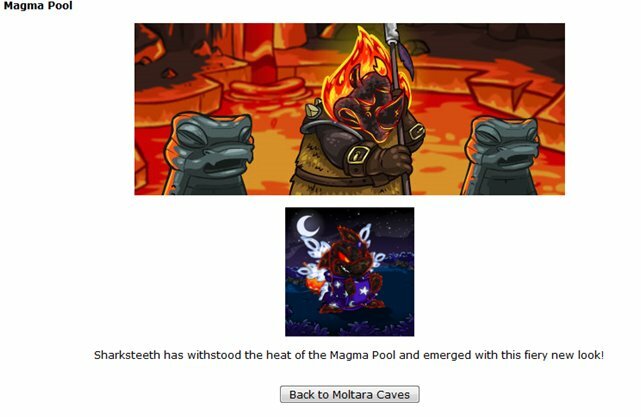 There is currently a bug so the darks caves is not linked from the Magma pools page, however the direct link to the dark cave still works. Thanks to stararan for letting me know about the fix. It has come to my attention that there is currently an ongoing bug when collecting the worms. 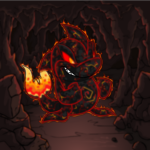 TNT is aware of the problem and is working to fix it soon. It seems that those pesky Moltara worms are up to no good again! We have informed our developers and we hope to have the issue fixed soon! Thanks to emraz for letting me know of this problem. There you are given a lantern. Now you can catch those pesky worms! The Black and rainbow seem to appear the least, but they will eventually appear, so don't give up! 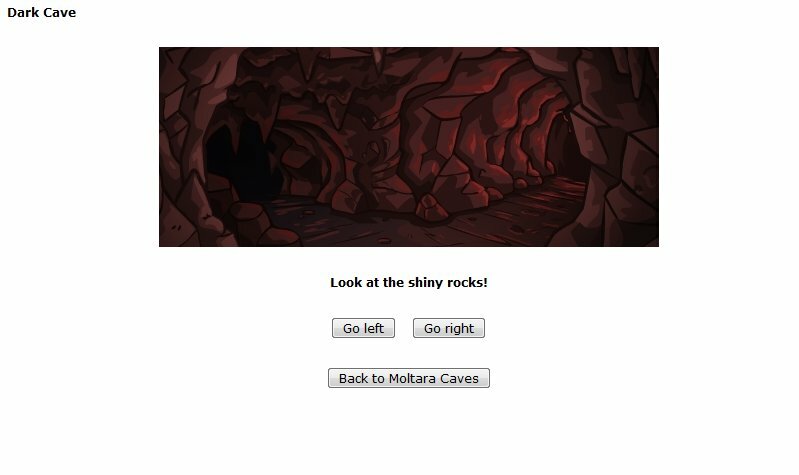 Now head on over to that really Dark Cave! By pressing the buttons you navigate a maze you will come across dead ends, monsters and eventually the Red Moltite. 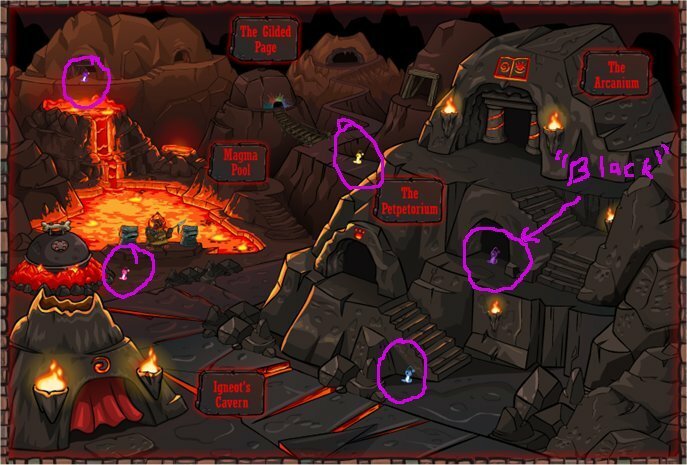 A Pattern for the caves been found! ^^ Thanks to Lyn (nyllyn2) for your work to find the pattern! Depending on what the initial saying is will determine which directions will take you to the Red Moltite. Lyn's guide has full tables for the possible sayings. Now head back over to Lampwyck's Lights Fantastic where you can exchange your lantern for a wearable. 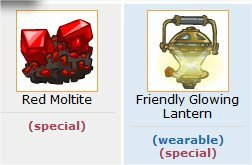 There you can combine the 4 materials (Gears, Scrap metal, Obsidian and the moltite) to create robot petpets. At the beginning of the new day, I went to Lampwyck's Lights Fantastic as advised the previous day, and disaster! The worms have escaped! I now have the empty lantern and the worms have appeared on the pages again! 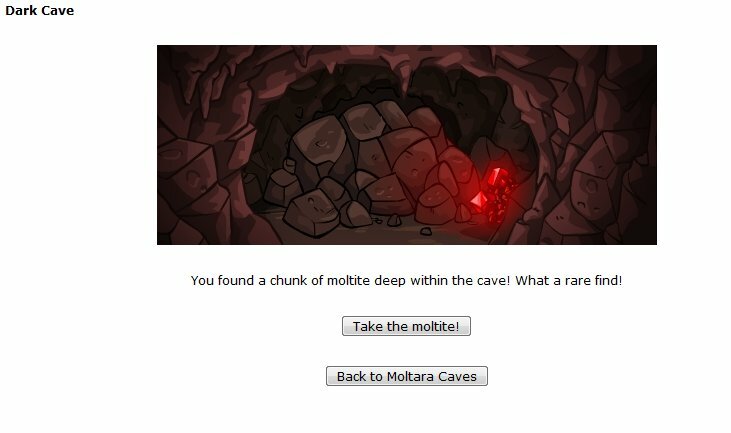 I have been informed that completing the quest line again rewards you only with the moltite. 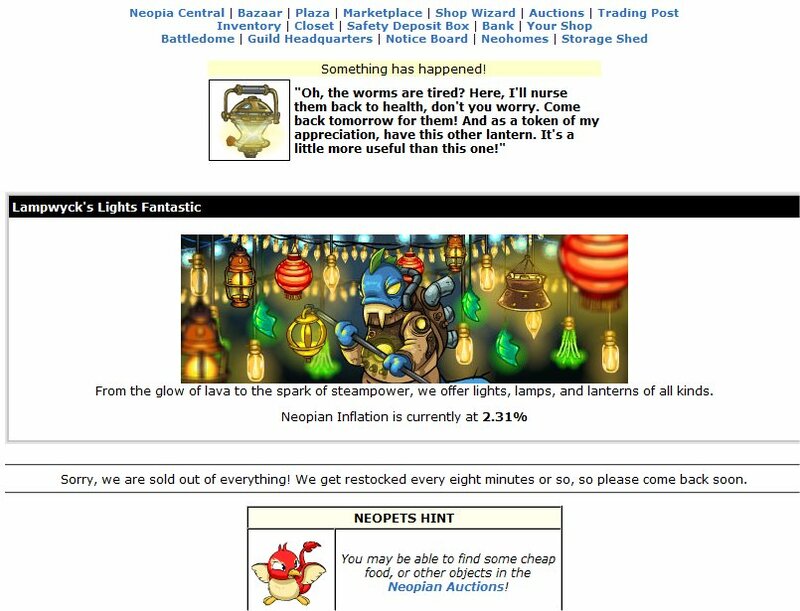 You do not get a second lantern! 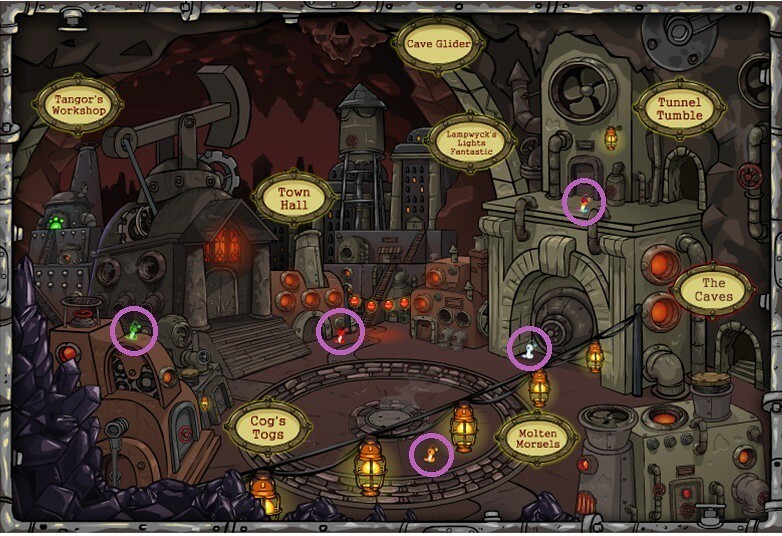 The miscellaneous gears can be found on the Moltara City page. 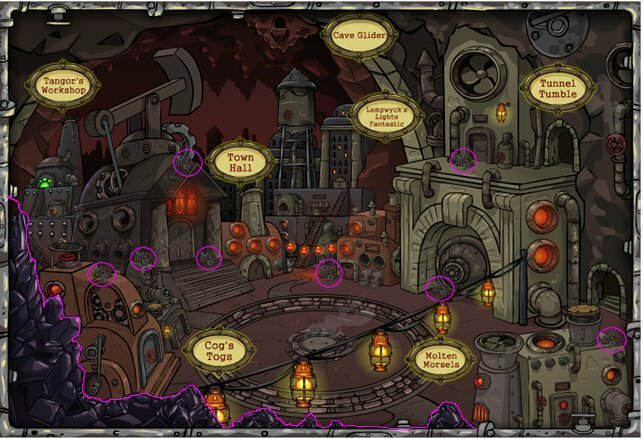 Here is a screenshot to show you were you might be able to find the gears. I have also highlighted the area to click to find the Shiny Obsidian. The Scrap metal is found in a random event whilst browsing the moltara pages. 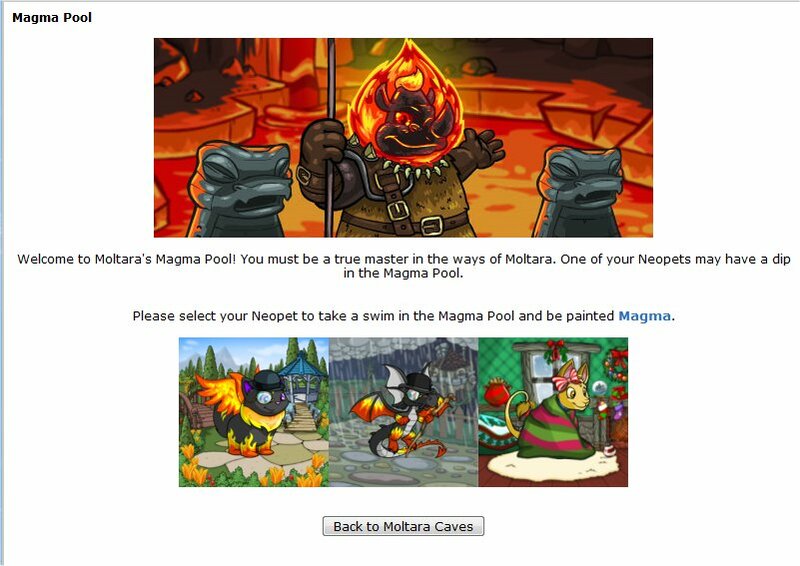 The Magma pool is unrelated to the worms. Here is the screens I took of my visit. 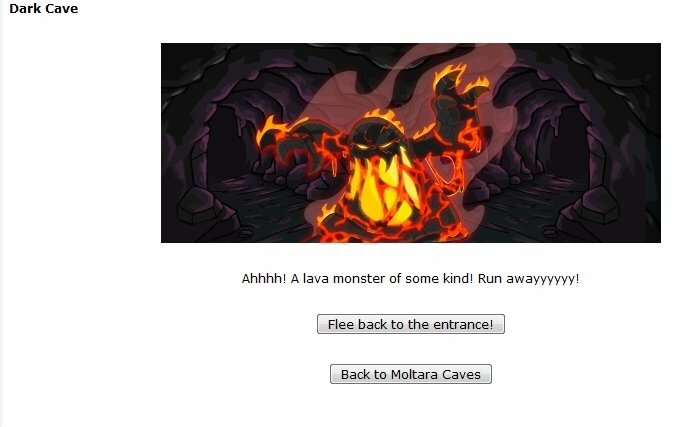 (I only had 9 worms at the time, so collecting the worms will not let you paint your pet magma). So far, no one knows for sure how to gain full access to the moltara pool. It seems that full access is only possible on your main account. 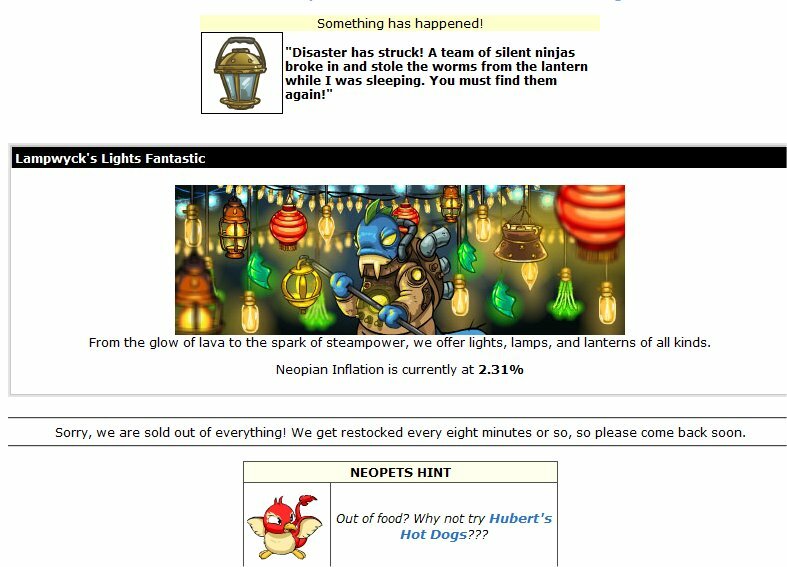 In the most recent issue of the Neopian times, neopets said you are free to catch the gaurd asleep on your side accounts, but to gain access you have gained NP. Further Update! I have confirmed that you can gain full access having not taken part in the Moltara plot. Thanks nolliemarie for letting me know. What items do I get from completing this quest? I've completed the steps and given a new lantern! 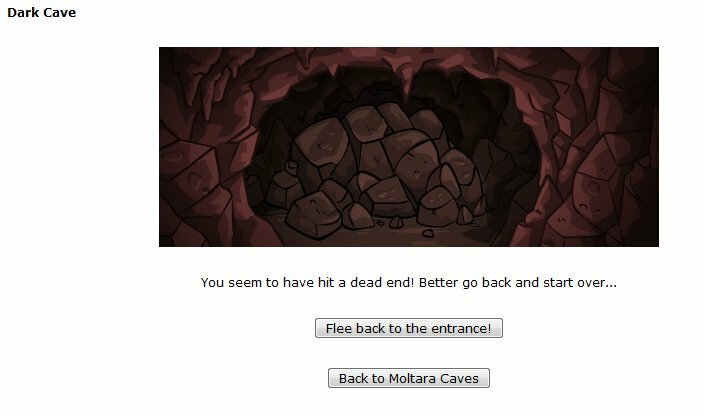 What happens if I complete the quest again? 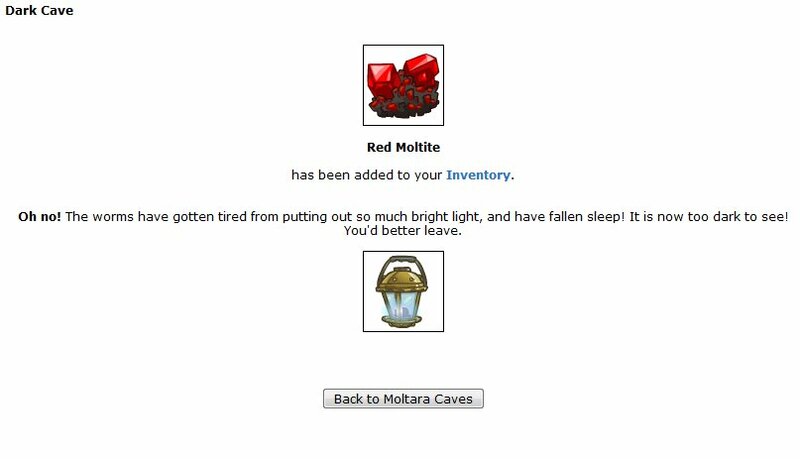 If you repeat the quest you will receive the red Moltite from the cave, however you will not receive another wearable lantern. 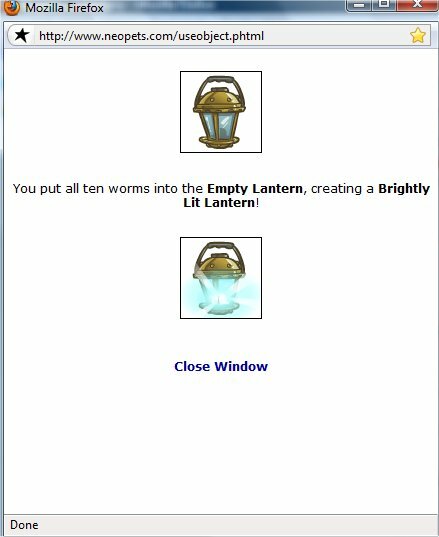 The shopkeeper didn't give me a lantern, how do I catch the worms? Click here to search your Safe Deposit box for your lantern. I was only able to find 9 worms, will I still be able to finish the quest tomorrow? Don't worry! You can find the last worm (it wont be reset or anything) the next day. I have been refreshing for hours but still haven't found the "insert name of worm here" yet! Am I doing something wrong? I'm afraid not :( Some of the worms seem to be harder to spot (i.e they never appear when you refresh!) than others, but they will eventually appear. Just keep looking every 5mins or so (or as often as you can) and eventually you will find them. I lost one of the worms to a random event! Can I get another one? Don't worry, no need to panic! 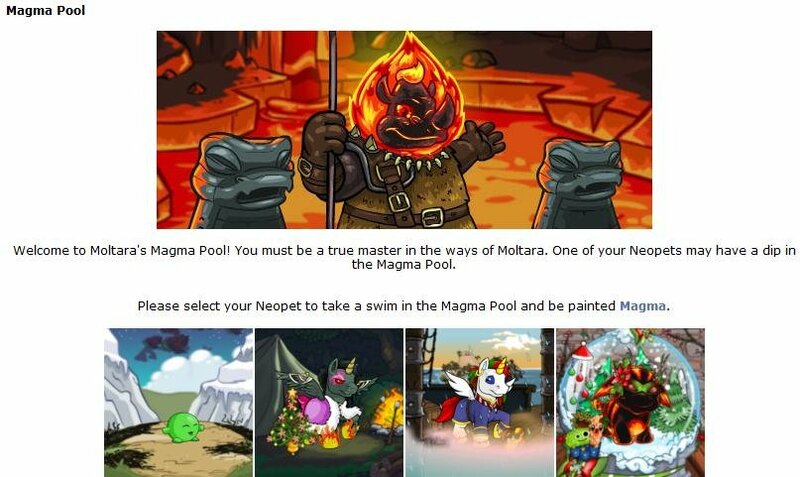 The little worm will start apparing to be caught on the moltara city and magma pools page. 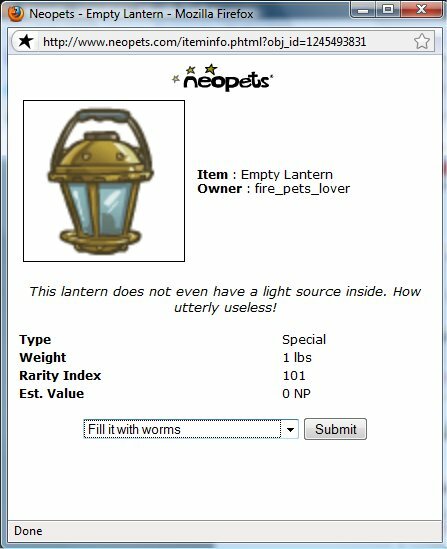 Note: Your worms will be safe if you leave them in your safe deposit box or gallery, but remember to take them out when you want to use your lantern! I have collected all the worms. 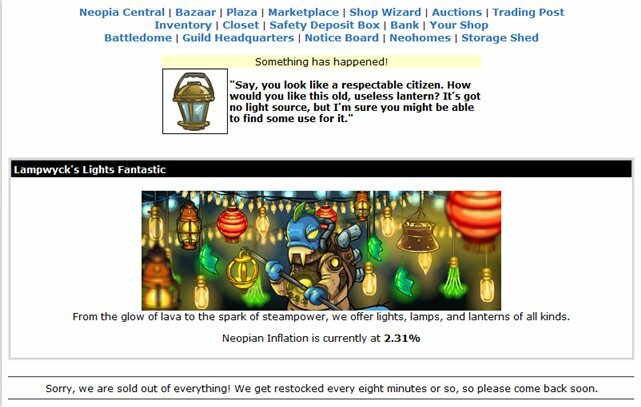 Why can't put them in the lantern! You must have all the worms in your inventory (not hiding away in your Safety Deposit Box) Count up all the worms in your inventory to make sure you have all 10 out. Can I paint a pet from a side account? 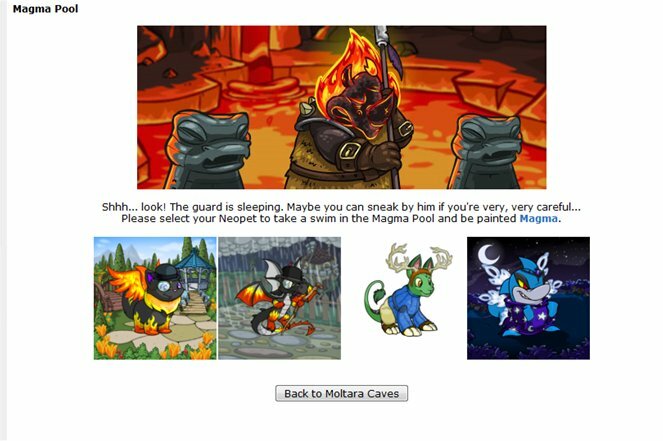 Yes, its a rare chance you will get lucky enough to find the guard asleep, but as you don't receive any items from him, its fine to paint a pet from your side account. Please remember though, that you should not collect the Red Moltite on a side account!